I've finished Academy of Applied Arts in Rijeka, Croatia and shortly I've found a day job as a heraldic coats of arms designer, which I am doing for years. All that time I was working quietly and let's say "incognito" meaning I haven't had no communication with the world outside on the internet looking for jobs or design inspiration, I suppose someone can say that I was, concerning my design life, acted like an hermit. Suddenly, a few years ago I stumbled across the site called Logoground where I saw designers can sell their logo designs there. At the time I haven't designed many logos because I was involved in classic heraldic art design prevalently. Header of the Logoground site. It sounded like a fun and fresh thing to do, so I've made a few logo designs and put them on the sale. At those times, I would say, Logoground was relatively small site with 20 or 30 active designers, but with quality logo designs. The fact came to me only later by comparing some other websites with the similar content and purpose. A month passed and I have sold my first logo. Nevertheless I have produced before a lot of design projects in my off-line life and even for bigger amounts, I was really excited and happy with the fact. This pushed me further so I continued to publish and sell my logo designs. Meanwhile I joined Dribbble and Behance sites with my projects and custom logo design offers started to flow, but Logoground always had a special place in my design activity and it still has. 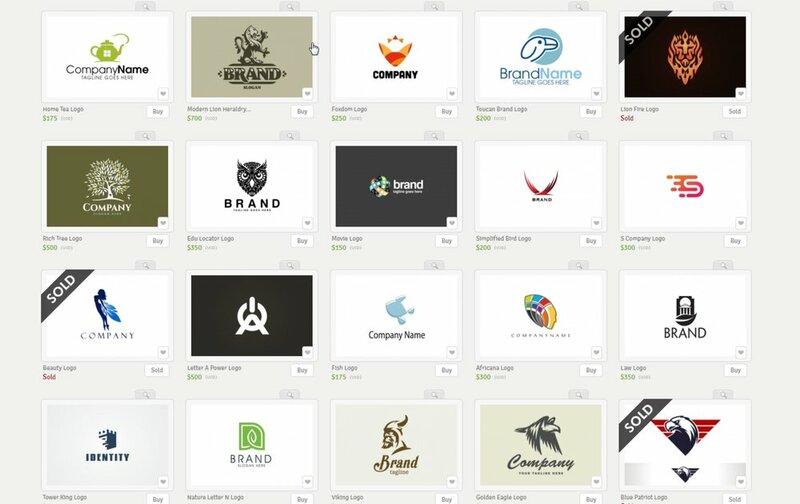 Today there are so many premade logo sites out there, but Logoground is different. Logoground owners used to describe their site like the site oriented to designers and I would agree with it. It is important to mention that site is owned and leaded by logo lovers and logo enthusiasts to build the site with high quality, beautiful logos and satisfied members. Most of you now will find interesting the fact that there is no sale fee on Logoground site, which is very suitable for logo designers. Only set the price of the logo by your own and after the sale whole amount belongs to you. Owners of the site are also designers and they participate in logo sale the way the others do. I have always think about the fact that when the love and passion are incorporated in building a business, success will follow. This is what I can say for Logoground. They have now thousands of registered users and traffic is much bigger then in the time I joined the site. I believe their designers are satisfied. It is visible that those logos are designed with love and care. On the other hand, high quality logos result with high percentage of sale. Logos for sale on the Logoground site. I should also mention that their staff is very kind and patient in explanations and guidance. Logoground also has its forum where members can ask questions, find information or look up for a opinion of their logo designs. My motivations in writing those lines is because Logoground opened to me the whole new world of logo design which I am very satisfied to be part of. I don't have any benefit from it, I just think that they really deserved a big "thank you" for all their efforts to make a comfortable place for designers.